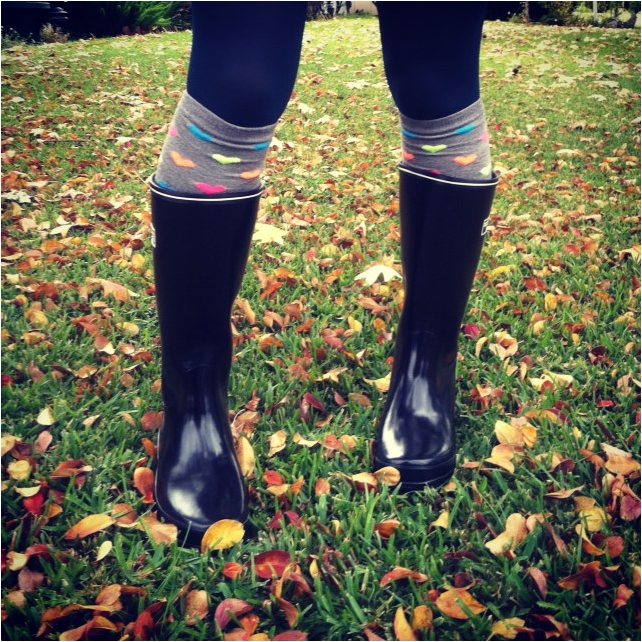 Living in Southern California, you wonder if it's really worth it to buy a pair of rainboots. 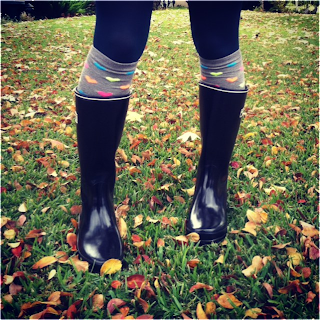 But after this last weekend, I'm happy to say that my Tretorn rainboots purchase was a smart one. I got great use out of them on Friday and Sunday. And can't wait to wear them next weekend when it rains again! They go with everything, and this time I've paired them up with my neon heart socks from Target and my teal tights by Falke.